This tour a full day that follows the Greys River to fabulous play areas at McCain Meadows and Blind Bull in the Wyoming Range. Beautiful alpine vistas and lunch at a backcountry guest ranch, the Box Y Lodge, make this a terrific tour for those looking to escape the crowds. 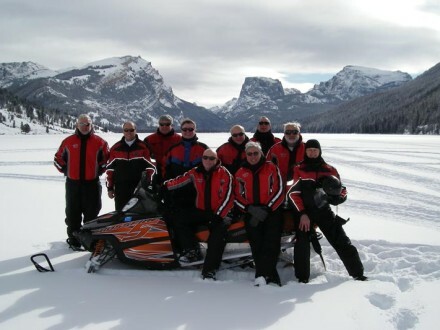 Unforgettable scenery and fabulous riding are what make this trip so popular. Off-trail riding is possible in several places. The day starts of with a 8am pickup at your local accommodations. 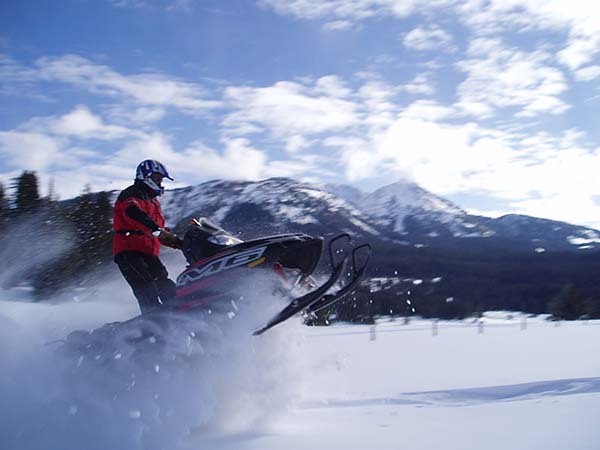 After arriving at our office in Jackson, we will get you outfitted with all of the snowmobile gear that you will need for your adventure. Your adventure will begin after a 35 mile van ride to the Greys River trailhead South of town through the Snake River Canyon. Typically the tour will last 5 hours with an arrival back to Jackson between 4-5pm.